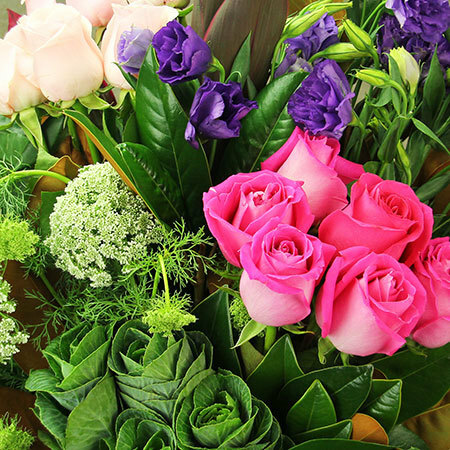 What better way to make someone feel super special than with a big vase of fresh flowers delivered to their door? 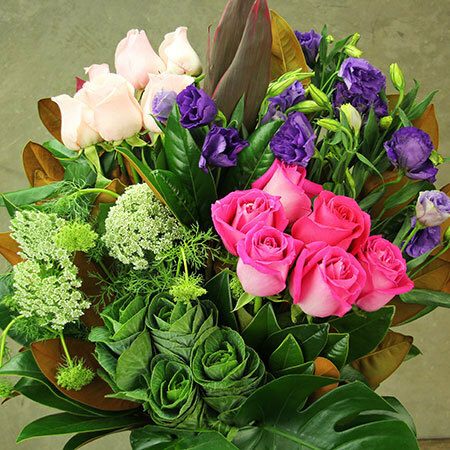 Our luxurious design is arranged in a tall glass vase and features a mass of hot pink and pale pink long stem roses combined with romantic purple lisianthus. And for that extra lux touch, our florists have styled the vase with seasonal greens including stems of ornamental kale, tropical cordyline leaves, sprigs of delicate Queen Anne`s lace and branches of glossy green magnolia foliage. 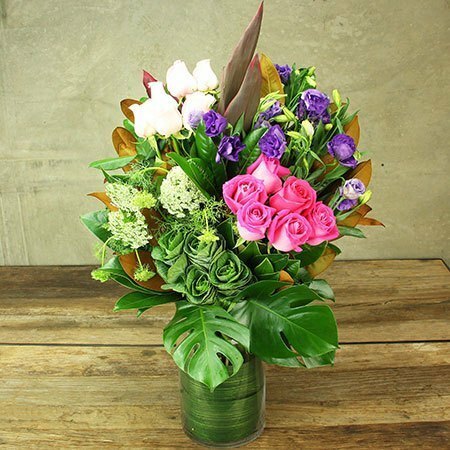 If you are looking for a flower delivery with maximum wow factor, order this stunning vase of mixed blooms via our online store or give the team a call on 1800 66 66 46. PS. Want to up the ante that little bit more? We have a glorious array of quality gift add ons available including bottles of bubbles, chocolate and superb home fragrances by Urban Rituelle.